With the final series of Downton Abbey swiftly coming to a close, it’s with a heavy heart we bid farewell to our favourite aristocrats. With this imminent ending in the offing, we pose one simple question: what on earth does one to do following the sad departure of Downton? Sunday nights will never be the same again. It’s been an eventful five years for the glamorous Crawley family and this Sunday will deliver their long awaited final chapter. Anyone else on the edge of their seats bursting with anticipation? So with this in mind, I thought I’d go all out Lady Mary Crawley style, and give the Downton gang the luxurious send off they so deserve. 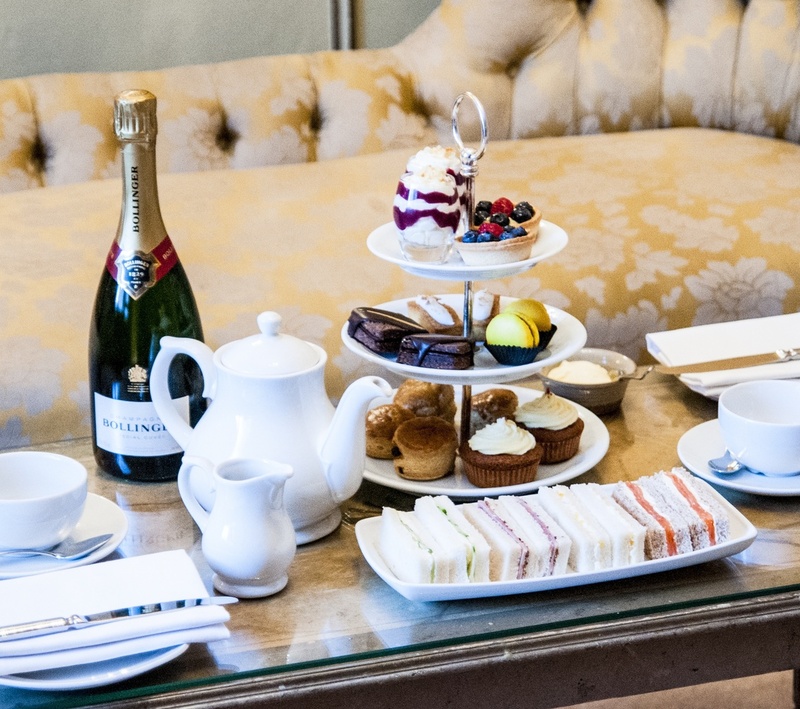 We all long for a little glitz and glamour at some point in our lives, and what better way to do it than with a decadent afternoon tea in the heart of West London? The perfect afternoon pastime to break up a quiet Sunday stroll. Rest weary feet with fluffy scones, cream cakes and elegant finger sandwiches, all washed down with a glass of fancy fizz. After all, in the word’s of Virginia Woolf: “One cannot think well, love well, sleep well, if one has not dined well.” A Crawley family classic, one would imagine. Located a stone’s throw away from bustling Knightsbridge and Hyde Park, the Gore hotel is a beautiful bolthole offering a little bit of luxury and a touch of relaxation. Whether you want to curl up away from the chaos of vibrant Chelsea, or if you just fancy an indulgent treat, the Gore is the perfect haven to relax and unwind in. Renowned for playing host to a number of A-list rock and roll celebs, the Gore has welcomed the likes of Mick Jagger through to Queen Victoria, and of course the recent star of Downton Abbey, opera singer Dame Nellie Melba, who used to frequent the hotel regularly after her performances at the Royal Albert Hall. 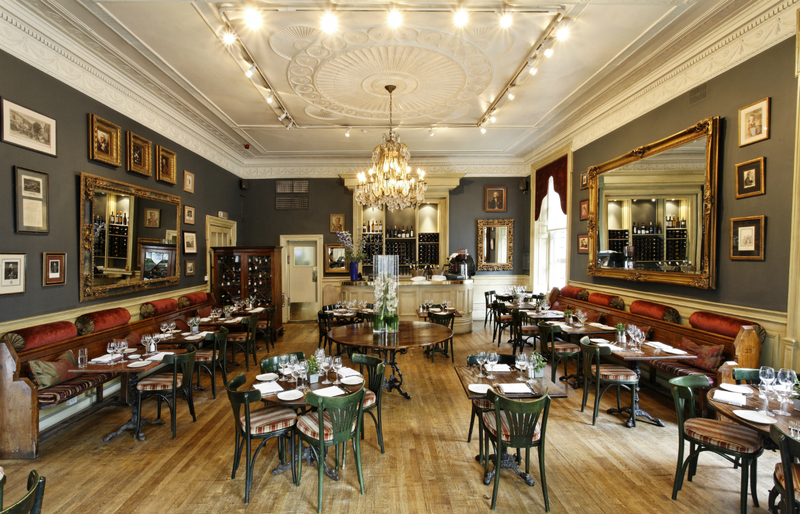 It’s not difficult to see why this stylish sanctuary became a popular haunt for Dame Nellie. The reception is lavish, decorated with gilded accessories, oversized paintings and a sumptuous red carpet falls elegantly from the towering, winding staircase. We’re greeted by the friendly reception staff, who swiftly usher us inside the dining area. Designed to resemble a French-style bistro with a touch of quintessential British glamour, the Bistro One Ninety is full of quirky personality. There are high ceilings, shimmering chandeliers, oversized brass mirrors and an eclectic collection of artwork displayed in ornately sculpted frames. It’s the perfect setting for refined Downton-inspired dining. I can envisage Lady Mary, Lady Edith and Lord and Lady Grantham daintily supping on afternoon tea in these sumptuous surroundings. Playing homage to Downton and of course Dame Nellie’s famous Peach Melba dessert, the Gore has combined the classic British afternoon tea together with a touch of Downton decadence. Beautifully presented cakes, sandwiches and aromatic teas, accompanied by a refreshingly light, sweet peach bellini. 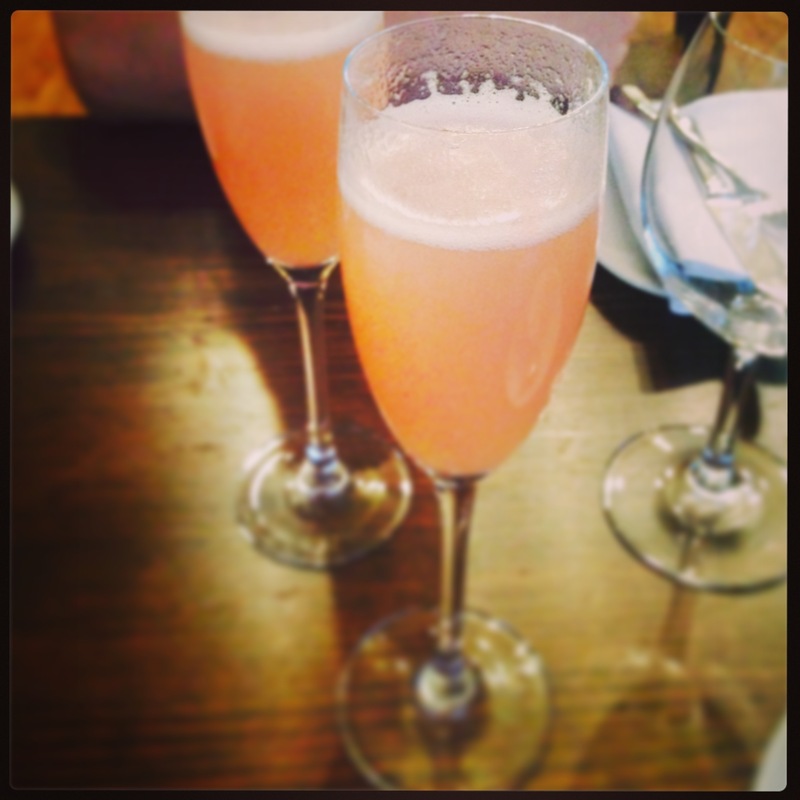 Floral, light and elegant, this is by far the best bellini we’ve have ever tried, so good we simply can’t resist ordering another (beware it will disappear in a flash!). The tea selection is synonymous with our surroundings; elegant and luxurious. We certainly do feel like ladies what lunch as we peruse the extensive tea menu. Such a tough job on a Sunday afternoon, but someone’s got to do it! Choose from spicy Darjeeling to sweetly scented Rose tea. We decide on sampling the Earl Grey, which is beautifully aromatic with subtle hints of citrus, and compliments our peach-infused bubbles perfectly. The selection of finger sandwiches accompanying the tea are simple, flavoursome and wonderfully British. Tuck into silky smoked salmon with crème fraiche, cucumber with cream cheese, thick slathers of honey roast ham with sweet wholegrain mustard and a deliciously creamy egg mayonnaise with crunchy cress. The towering sweet treats are delicately placed in front of us presented on a tiered ceramic cake stand, decorated with light, fluffy English scones and clotted cream, a selection of mouthwatering carrot cakes and chocolate brownies, topped with a creamy peach trifle and extravagantly chic, gilded macaroons, to add a little more decadence to our Downton dining experience. The three tiers of rich, creamy cakes are difficult to devour after a serving of tasty sandwiches so the waitress kindly boxes up our lonely leftovers. (There aren’t too many though I assure you!). As it’s still relatively early on a Sunday afternoon, we pop into the bar to have a sneaky peek. Be warned – the candlelit, sultry setting is a little too inviting, so we’re tempted to order yet another beautifully presented peach bellini, whilst we relax, admiring the bar’s rock ‘n’ roll hall of fame. This gorgeous afternoon treat will make the perfect girlie gathering, or a romantic afternoon date with the man. If you fancy going the extra mile, make the most of the experience and stay the night in the hotel’s luxurious Dame Nellie Melba suite. 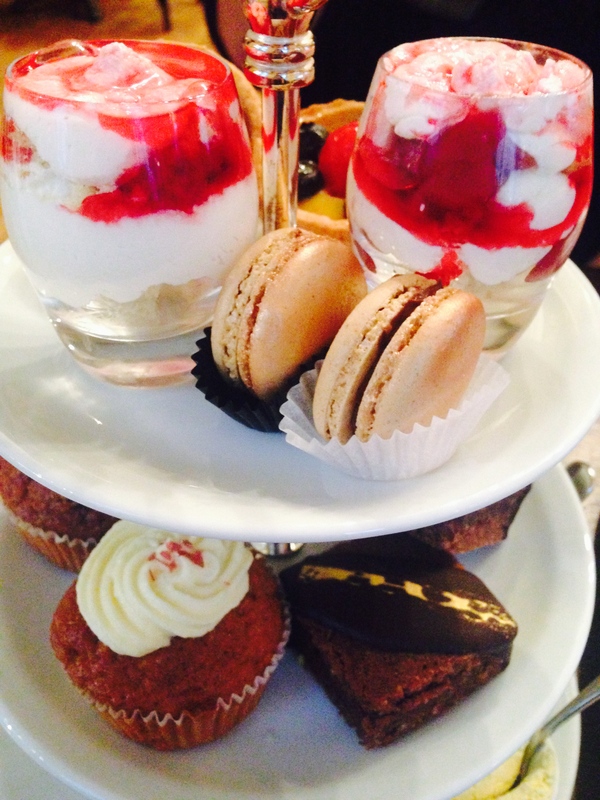 Prices for the Dame Nellie Melba afternoon tea start from £30.00 per person. Prices for the Dame Nellie Melba experience (stay and afternoon tea) start from £280 per room, per night inclusive of two Dame Nellie Melba afternoon teas. To book The Gore’s Dame Nellie Melba afternoon tea and or an overnight stay, visit gorehotel.com or call 020 75836601. 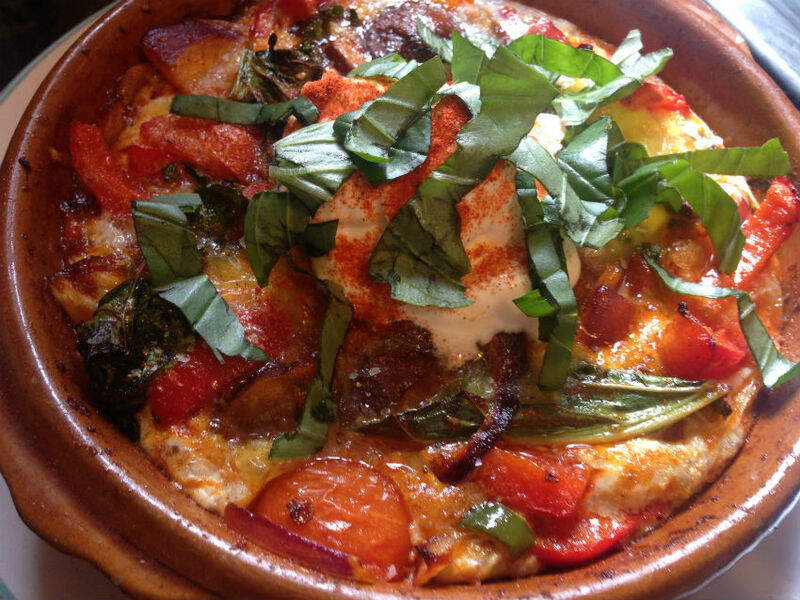 A beautifully spicy, creamy baked eggs brunch with peppers, crispy kale and chunky chestnut mushrooms – brunch recipes don’t get better than this! Weekends are built for brunches. Whether it’s devouring a crispy bacon sarnie slathered in HP sauce or tucking into deliciously decadent, creamy Eggs Benedict, indulgent brunching never gets boring. It’s one of my favourite meals of the day − especially when it comes to lazy weekend lounging. So naturally I’m working on building up a moreish selection of brunch recipes to add to to my culinary kitchen collection. 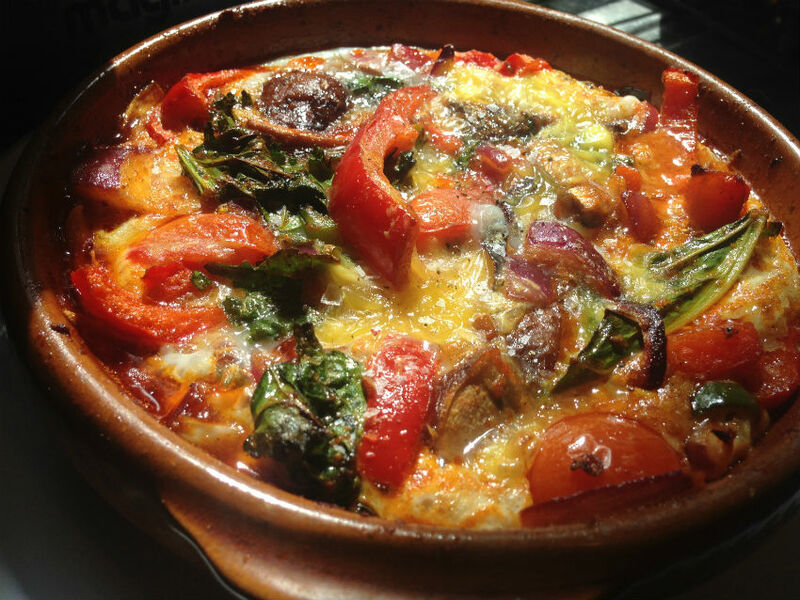 This is a little leftovers classic, using up whatever I could find in the fridge − turns out it was a good ‘un! I’m a little obsessed with kale at the moment, so threw in a handful to add a splash of colour and texture, but you can use spinach, rocket or any other greenery that takes your fancy. You can also add a little more or less spice, depending on how much your tastebuds can handle. I finished with a dollop of crème fraîche for extra creaminess, but again if you don’t fancy this, the baked eggs will taste great on their own. This serves one but just up the ingredients depending on how many you’re cooking for. 2) Finely slice the onion, garlic, peppers and mushrooms. 3) Place the onions and garlic in the oven in a heat-proof dish, with a good glug of olive oil, for around 2-3 minutes. 4) Remove from oven and mix together the peppers and spices. Place in the oven for another 2-3 minutes to heat through. Make sure the spices are coating the veg evenly. 5) Remove from the oven and mix in the mushrooms and kale with a little seasoning of salt and pepper, making sure to mix the ingredients well so the spice mixture evenly coats the vegetables. 6) Place back into the oven for around 1o minutes. Take out after 5 minutes and give the veg a little stir. 7) Remove from the oven and break two eggs on top of the pepper mix. Place back into the oven for 10 minutes. 8) Spoon a generous dollop of crème fraîche on the top of the eggs, sprinkle with a delicate dusting of paprika and a scattering of fresh, chopped basil leaves. Eat on their own or with crusty baked bread. Delish! Nothing tastes better on a Saturday morning than sizzling sausages paired with perfectly oozy poached eggs and gorgeously sticky, saucy beans. This punchy Boston beans recipe combines all my favourite flavours. Smoky pancetta, piquant chilli, tangy Worcestershire sauce and a drizzling of indulgently sweet, sticky treacle. Divine! So naughty but oh-so-nice. A weekend breakfast or brunch recipe that’s set to wow. 1) Lightly boil the beans in water for about 5 minutes, just to heat them through and soften. 2) Fry the garlic and onion in the olive oil on a medium heat for a couple of minutes, until the onion has softened. 3) Add the pancetta and cook until browned. 4) Add the sugar and wait for the onions to slightly caramelise. 5) Add the paprika and cayenne pepper, together with the treacle, mustard and Worcestershire sauce and give it a good stir. It should have a thick, gooey consistency. 6) Add the tomatoes, warmed beans and a little salt and pepper. Pop a lid on the pan and leave to cook on a low heat for about 15-20 minutes and the tomatoes have reduced by half. 7) Heat the griddle pan on a high heat and start to griddle your sausages, turning often. You want a smoky, chargrilled finish so a little blackness is fine! You can grill or oven cook the sausages if you’d prefer. 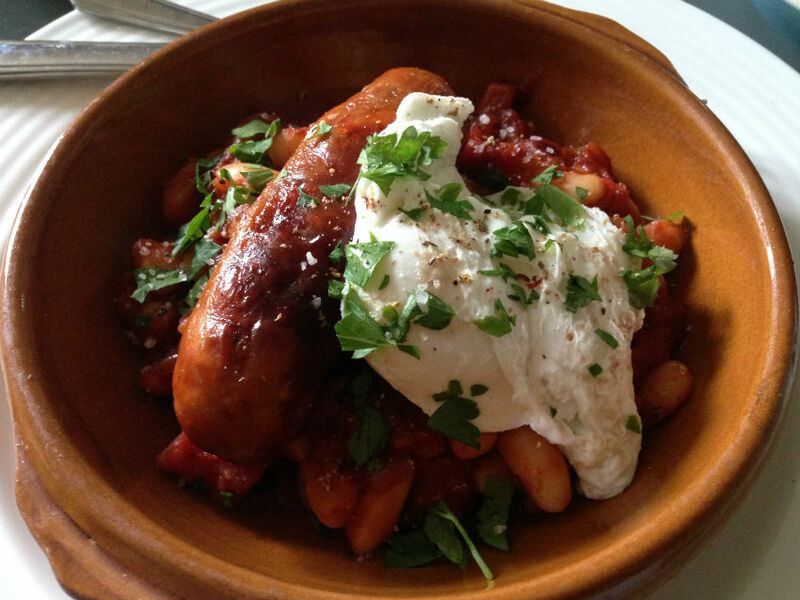 9) Once the beans are cooked (they should be sticky, gloopy and delicious) serve with one or two chargrilled sausages, a poached egg and a sprinkling of fresh parsley, and devour! I’d love to refer to myself as a bonafide wine expert, but the reality is that despite my father owning a wine business, (vision of him slapping my hand here springs to mind) I’m a little dense when it comes to identifying a snazzy bouquet. Don’t get me wrong, I love a decent bottle of plonk. Malbec is the usual, favourite tipple but generally, I tend to get distracted by the discount deals in Waitrose or whichever I deem has the most artistically striking label (cue father gasping in despair). I’m even more hopeless when it comes to identifying flavours in wines, which as a self-confessed food fanatic, I’m at loss to understand why. I can only whittle it down to the fact I haven’t (before now) ever really tried. With every slurp of Shiraz I’m probably more immersed in singing Fleetwood Mac and dancing around my kitchen than recognizing heady accents of smoky wood (another disappointing sigh from dad). Having said that, I wholeheartedly would love to know more about wine, if anything to make a decent choice in the supermarket, and of course to impress my friends with my fountain of wine knowledge at the next dinner soirée. 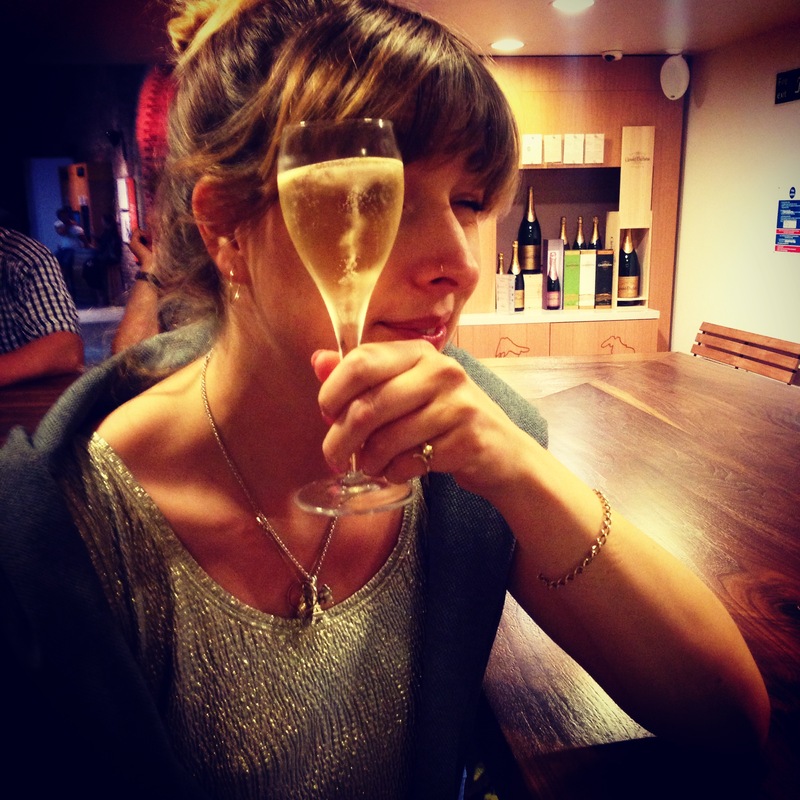 So naturally, when invited to sample the wines at London’s Vinopolis, I jumped at the chance. Tucked away beneath the railway arches of London Bridge, a not-so-secret wine tasting lair awaits eager wine enthusiasts to challenge their tasting notes, (or in my case learn from scratch) by sampling their vast selection of vintages. It’s a striking building, steeped in history and oozing character. Softly lit with a calming atmosphere, we’re more than ready to get sampling as soon as we walk through the towering glass doors. 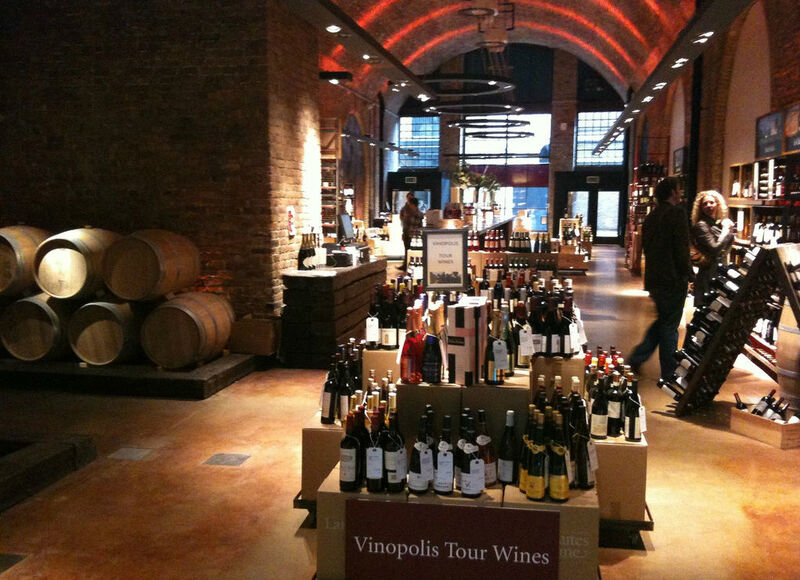 The wine tour begins with a brief introduction, revealing expert tips on how to slurp wine. Drawing in a large gulp and really slurping around the back of the mouth releases the wine’s various flavours, so in theory, you should be able to identify some key ingredients. In truth, I found the art of slurping hard to master, culminating in an embarrassing choking fit in front of the whole class (much to my friend’s amusement). Fallen at the first hurdle. This did not bode well! Despite persevering, I couldn’t quite master the slurping technique, but I did mange to successfully identify a few key flavours, leaving me to feel less of a hopeless failure before the start of the tour. With my student hat on, I carefully memorise the tasting notes, and how to distinguish a sweet, floral bouquet or a dry, citrus aroma. Frankly, as soon as we enter into the tasting realm, most of the student tips and notes diminish into thin air as we slurp and guzzle our way through the maze of tasting rooms. We indulge in sample after sample of Argentinian Malbec, French Bordeaux and refreshingly crisp Sancerre. With 12 tokens of samples, you can really get your teeth stuck into some delicious vintages. For those who also find it hard to identify flavours, the bottles are accompanied by in-depth descriptions to help you along the way, as well as the friendly, helpful staff who are on hand to assist throughout the whole tour. 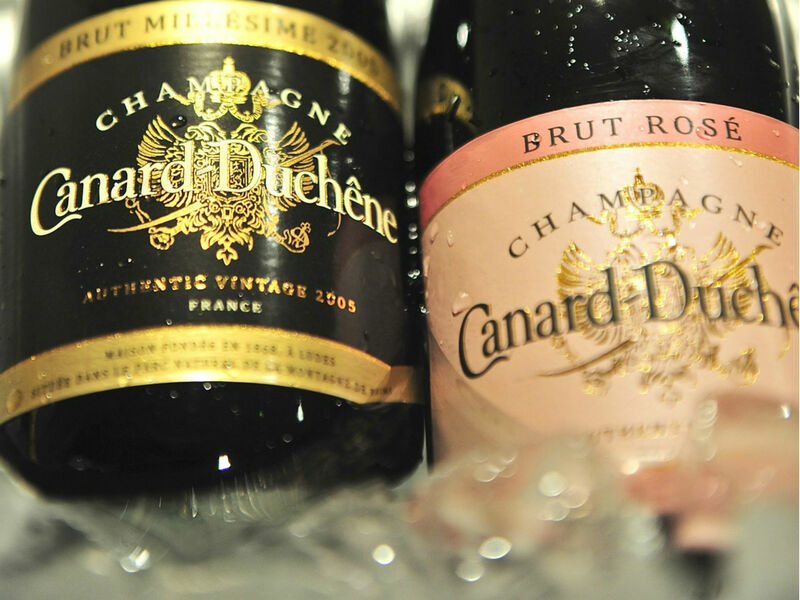 There’s a decadent Champagne lounge, which I’d highly recommend starting the tour with, as well as a tapas station serving up olives, bread and cured meats, if you feel a little peckish along the way. Despite my hopeless slurping attempts, and the fact that I’m still unable to identify an exceptional bottle of plonk, the whole evening was thoroughly enjoyable. With a great selection of delicious wines to sample, you’d be hard pushed not to have a good time, but the beautiful surroundings and eager wine aficionados just add to the whole experience. Whether you’re a total wine buff or complete novice, Vinopolis will add the fun factor to an evening of unashamed wine guzzling.